ChineseBites signature dishes tour dinner #10 at Strike Taiwanese restaurant on West Broadway in Kitsilano on July 3, 2013. After a six-month long hiatus, ChineseBites dinners have returned. 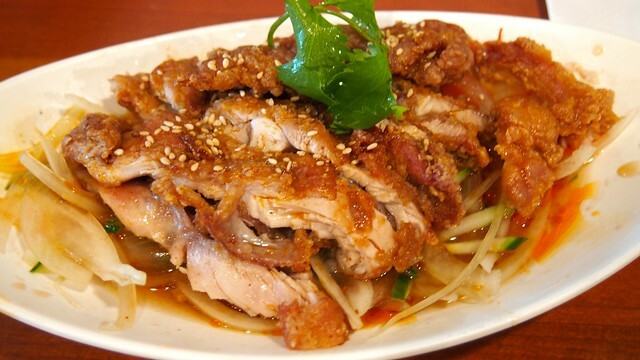 We gathered to sample some Taiwanese food at Strike's newest location in Kitsilano. 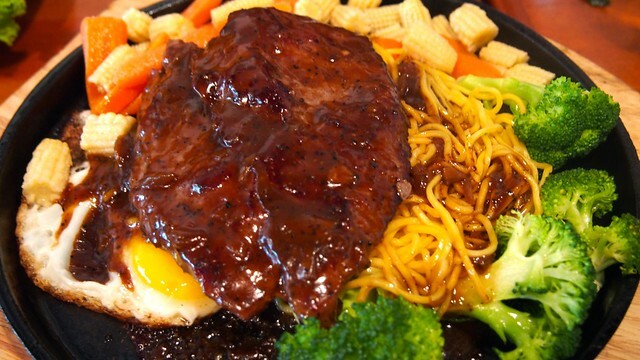 Their most popular dish, the Taiwanese style steak with black pepper sauce, was fairly satisfying with all its noodle and egg goodness and sizzling, beefy glory. The dish also came with chicken instead, but the steak was better. 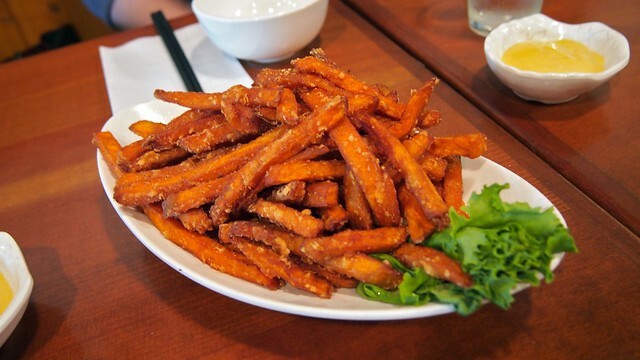 I really enjoyed the basic yam fries for munching on. Its fruity dipping sauce on the other hand was a strange (non) complement. Their five spice beef wrap was a decent take on the traditional beef rool, but I found the pancake a little too thick and doughy without any of the usual crispiness. 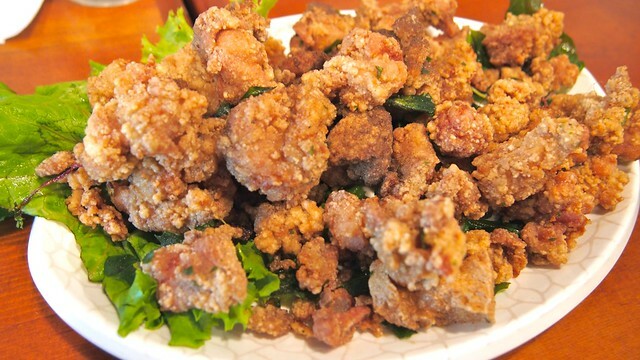 I dug the Thai style chicken with a nice balance of crispy flavour and a saucy, tasty texture. Another favourite, the deep fried chicken nuggets, was a solid, decent dish for popping into the mouth. Unfortunately, the house special beef noodle soup was easily the most disappointing dish of the night. I love TBN as a staple of my diet and comfort food. Too bad, because the soup was flavourless, bland, and generally unpleasing. Trying most of their dishes (many not pictured), I was more or less pleased with Strike's balance and the variety of Taiwanese dishes between classic staples and slightly more inventive takes. 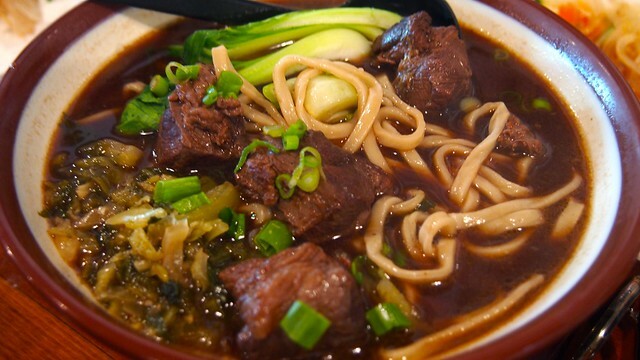 They are still refining and adapting their menu, incorporating the Japanese ramen noodle kitchen they inherited. 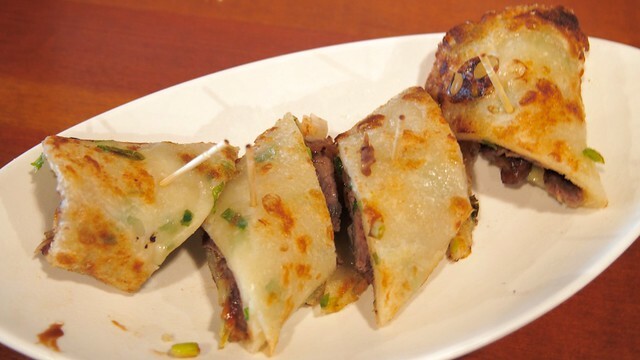 With some fine tuning and tweaks, it's a promising spot for Taiwanese food in Kits.